Even Hollywood hotties do the yo-yo weight thing and, believe me, I feel their pain. It can really unnerve a girl not knowing what size she’s going to be in the morning. 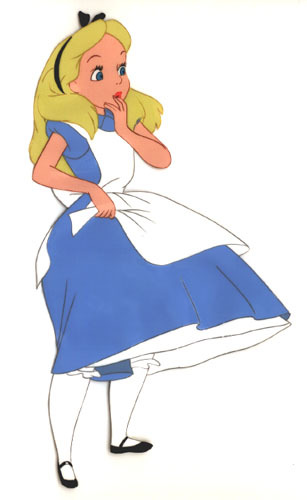 Take Alice for example. She took ONE measly bite of cake and blew up three times her normal size. This made her so upset she cried a river of tears, which naturally makes me wonder how huge and hysterical she would get if, like me, she were in the habit of consuming entire boxes of Twinkies in a single sitting.